The disaster occurred during a large naval exercise conducted by the Russian Navy. It was the first major exercise in 10 years and an opportunity to prove that the successor of the Soviet Army is capable of responding to potential threats. The exercise included 30 ships and three submarines. Although it is not usual for submarines to carry combat weapons during such training, Kursk was armed with 18 anti-ship torpedoes and 22 cruise missiles. 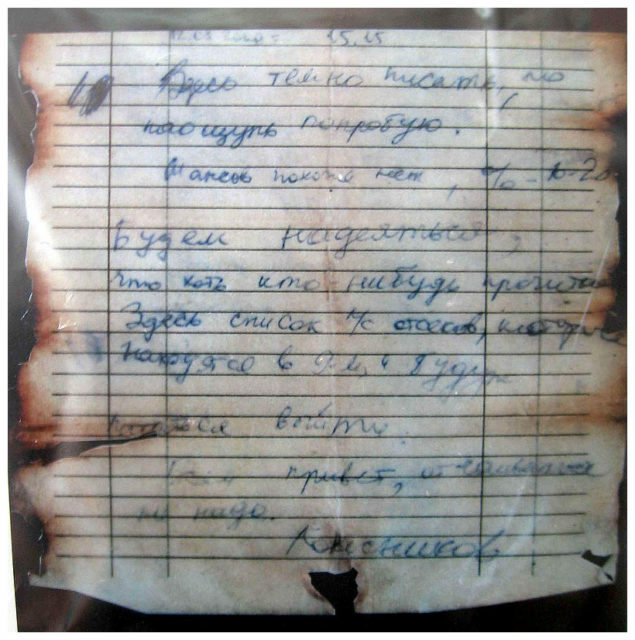 The sailors aboard the Kursk were recognized as the best crew of the North Fleet for their conduct just before the accident. The submarine itself was considered unsinkable and capable of withstanding a direct torpedo hit. It was claimed that Kursk was capable of confronting entire formations of US aircraft carriers. The seismic readings of the explosions were first caught by a Norwegian seismic array at 11:29h on Saturday, 12th of August, 2000. 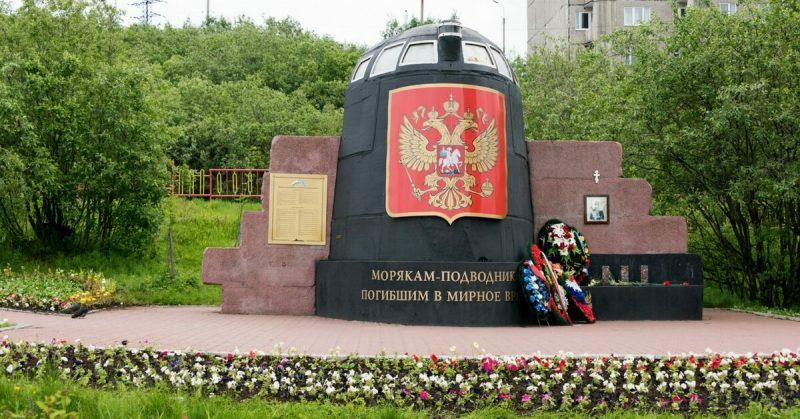 The Russian command lost contact with the Kursk after the explosions took place, but didn’t even acknowledge that the submarine suffered an accident for six hours. After it became obvious that something was wrong, a rescue operation was organized, failing to locate the submarine during the first day. Meanwhile, the Kremlin was informed of the event the day after it occurred. 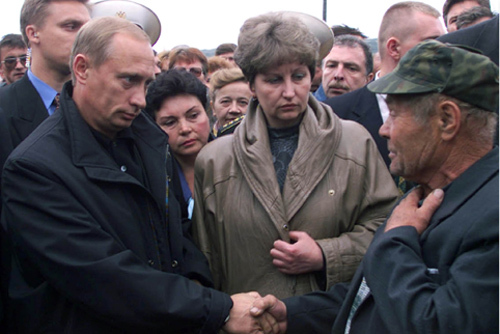 Vladimir Putin, who was in his first year of presidency, was assured that the exercise was going as planned even while the search was authorized. 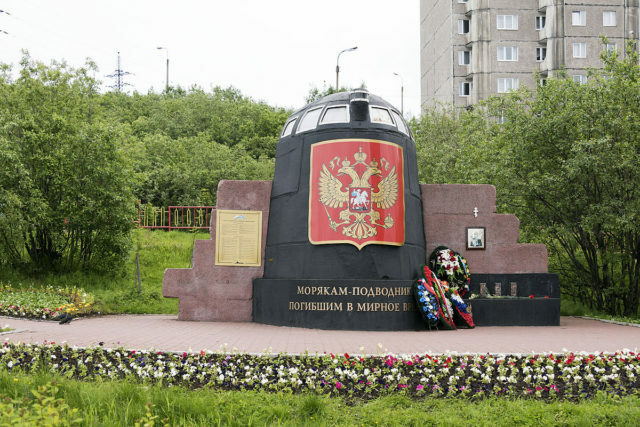 On Sunday, 13th of August, the Army officials tried to conceal the accident, giving a statement to the media that the exercise was conducted superbly, with the exception of the Kursk as it suffered “minor technical difficulties.” At this time, the Navy knew that the submarine was lost, but feared to give any pieces of information about it, since they themselves knew little. But the families of the missing men were already worried. None of them had called home, and a chilling feeling resonated around the Vidyaevo Naval Base, which was the home of the men aboard the Kursk. Several misleading stories about a temporary communication breakdown were offered to the families, but none of those seemed plausible. It was obvious that something was going on beneath the surface. 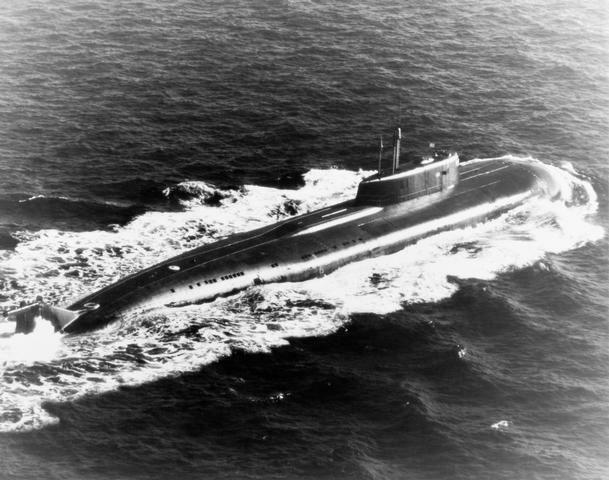 Somebody within the government made claims that the Kursk was badly damaged due to a collision with a NATO submarine, which turned out to be a complete act of paranoia. Nevertheless, this claim fueled the Russian stand to refuse any foreign assistance. Meanwhile, all rescue attempts failed to due to bad weather conditions and inappropriate equipment. British and Norwegian divers finally gained authorization to help with the rescue mission but were given many restrictions. The Russians still feared to let the foreigners go near the submarine. They were extremely cautious concerning the Kursk, for it represented the pinnacle of Soviet engineering. During the meeting, Nadezhda Tylik, the mother of Kursk submariner Lt. Sergei Tylik, was extremely emotional and interrupted the meeting. She shouted at the President and was forcibly restrained. This scandal echoed around the world, emphasizing the tragedy that claimed the lives of 118 men.